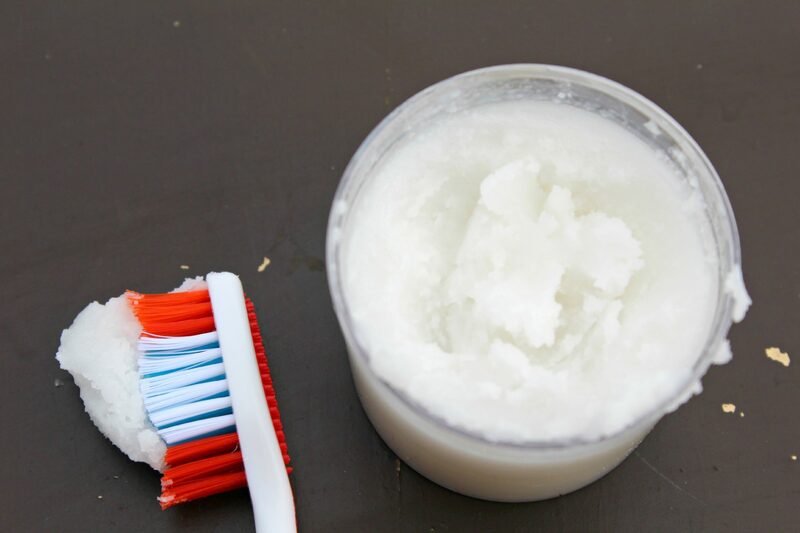 This homemade coconut oil toothpaste recipe is simple and fun to prepare and also much safer and healthier for your teeth. We are all aware that most commercial toothpastes contain a lot of toxic ingredients. Of course, there’s natural toothpaste in stores, whose 100% natural composition is quite appealing. But why pay for something you can make yourself for the fraction of the cost? This coconut oil toothpaste recipe is simple and fun to make, and also much safer and healthier for your teeth. Remember to use a soft brush that will allow a pleasant massage on your gums. This homemade toothpaste recipe will not foam because it doesn’t contain sodium sulfate so if you like that feature so much, coconut oil toothpaste is not for you. This natural coconut oil toothpaste recipe is also quite tasty, so there will be no problem for your children to use it as well. If you can find a tube to put your homemade toothpaste in, that would make it much easier to spread the toothpaste on your toothbrush. 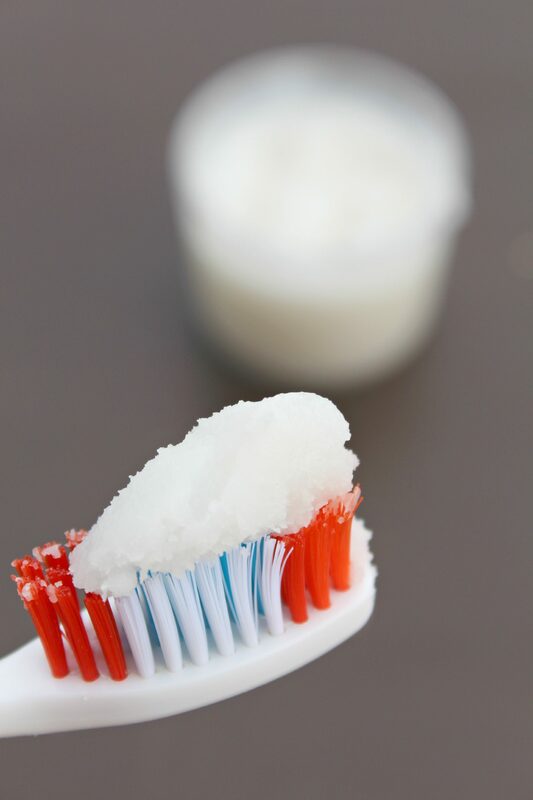 Use lukewarm water when brushing and cleaning your toothbrush as the coconut oil can get messy in cold water. Melt coconut oil over very low heat and then add all other ingredients. Mix until you get a homogeneous mixture. Put the mixture into a tube or in a small jar. Cool until it hardens and is then ready for use. Stir every 2-3 minutes to make sure ingredients blend well, until the composition hardens. All this time keep the recipient in a cool environment. Keep the tube or jar of toothpaste away from heat and light sources. I’ve used it all, twice a day, and hasn’t gone bad. I did as instructed but most of it stayed liquid with some settling in the bottom. Should I keep mixing it occasionally and put in the fridge until it sets. Has anyone else had this problem? Thanks for the simple recipe, can’t wait to figure out what went wrong so I can use it. Hi. Thanks for your interest in my recipe. I’m sorry, I just assumed people would know with coconut oil stirring from time to time is the norm. Stir every 2-3 minutes while keeping the recipient in a cold-ish environment. The fridge would make it hard too quickly so in a chillier room would be better. I would like clean and neutralized longer. I want to try this. I love this! I really want to try this!! What a great idea, Petro, I never thought about making toothpaste! 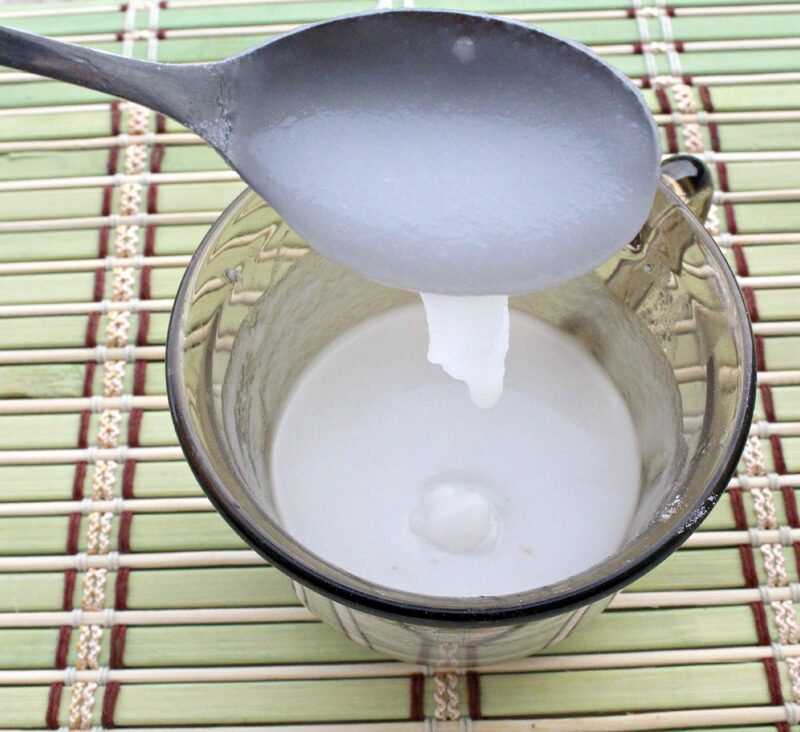 Coconut oil for toothpaste–wow! I had yet to hear of that! I would also prefer the peppermint, but I bet the kiddos might like the cinnamon! I’ve always wanted to try making my own toothpaste. Cool post! I am definitely do this tomorrow. I’ve made similar things but never with coconut oil (which I have in abundance.) Great post!